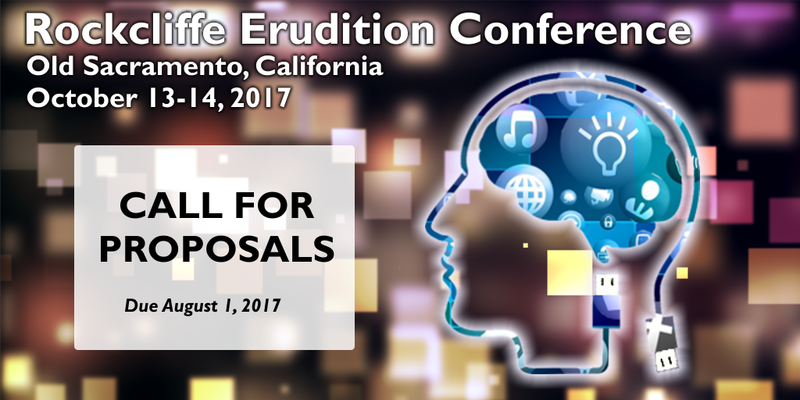 Rockcliffe University Consortium invites you to submit a workshop, lecture, or virtual poster to the first annual Erudition Conference to be held October 13-14, 2017 in Sacramento, California. Rockcliffe’s Erudition Conference is both a catalyst and a challenge issued. Innovation is showcased and encouraged. Education specialists should examine their preconceptions, boundaries, assumptions, and constraints when it comes to educational design using online and blended techniques. This conference will engage attendees in interdisciplinary opportunities to gain insights into pedagogical innovation, as well as provide opportunities to network with other educators working with immersive technologies, whether they be web-based, augmented, or virtual reality technologies in the support of learning development. Tracks include Virtual and Augmented Reality for Learning, Digital Instructional Methods, Digital Assessment, and Digital Game-Based Learning and Gamification. Sessions may target higher education, professional, continuing education, or K-12 but the primary intent is to offer something that can potentially be applied across any level of education that uses technology to mediate learning. Submissions are required by August 1 and presenters will be notified of acceptance by September 1.